In-the-Glass models are offered for those customers wanting to install a high quality pet door through glass...primarily sliding glass doors. This type of installation requires very highly skilled Glass Glazier. This type of application is very attractive to those customers who do not wish to install a pet door through a door or wall. 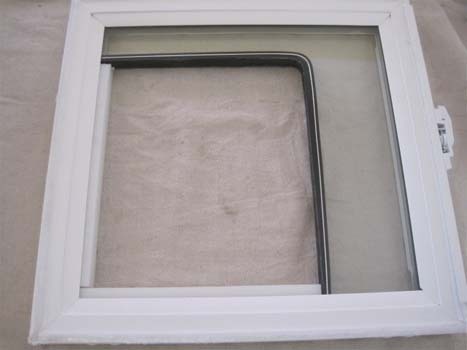 The installation of the MaxSeal through glass, is often reversible as well. Your professional Glazier can provide you with details and various options. The MaxSeal® In-the-Glass model pet door is designed to provide you the ultimate performance in pet doors. All parts are maintainable making these doors the last pet doors you will buy. Flaps are easily replaced by the customer (Unlike other brands). Note: You have the option of a 1" or 1/2" Adapter when order the In-the-Glass MaxSeal® doors. 9 5/8" x 10 13/16"
10 5/8" x 12 5/16"
12 5/8" x 15 5/16"
14 5/8" x 19 5/16"
14 5/8" x 23 5/16"
14 5/8" x 28 5/16"
15 5/8" x 27 5/16"
18 5/8" x 23 5/16"
18 5/8" x 27 5/16"
19 3/8" x 35 5/16"
Manufacturers Note: The MaxSeal In-the-Glass Model Pet Door is designed to be installed by professional glass glaziers that have experience installing pet doors into glass. For this reason, this product is only sold under the assumption that a professional will be installing this product. 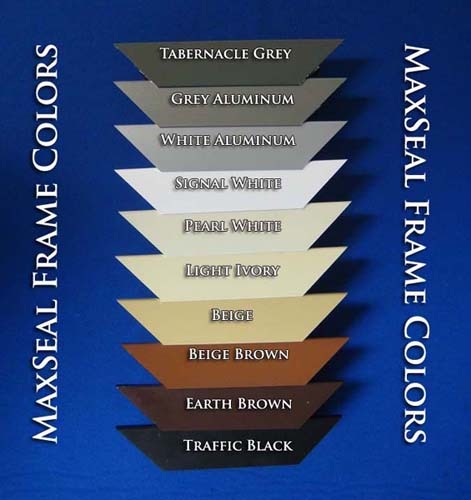 It is NOT designed for the homeowner, handyman or building contractor to install. 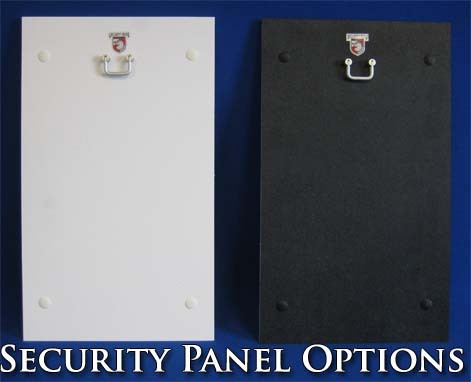 Security Boss ® In-the-Glass Model Pet Door should only be installed by a professional in the glass industry. Security Boss® does not guarantee any installation of our pet doors. The uniqueness of the installation situation make it imperative that you work only with professionals that have experience and are bonded. 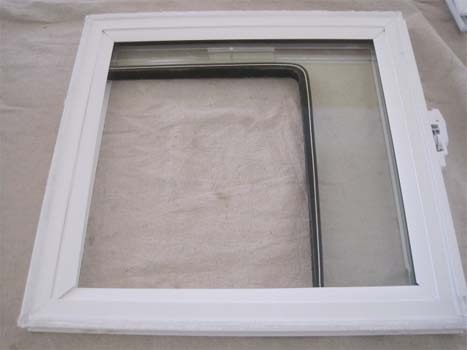 As the manufacturer of the In-the-Glass Model Pet Door, we warranty the pet door only, not the medium that it is installed. 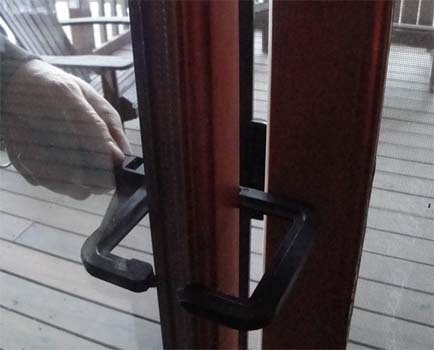 Overview - Basic guidelines for installing a MaxSeal Pet Door ® in Sliding Glass Doors. Please note that there are many types of sliding glass doors. 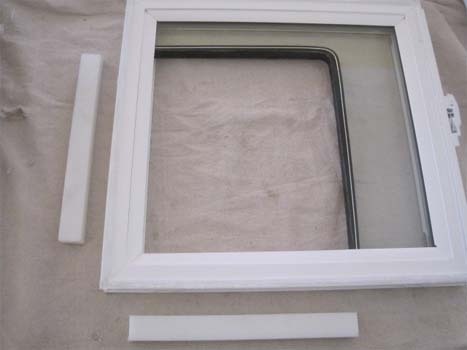 This guide is to be used for "standard" type sliding glass doors*. 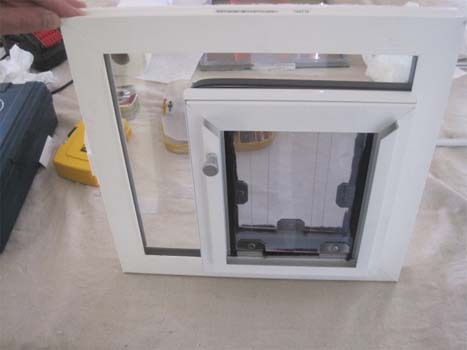 The installation process involves replacing an existing Insulated Glass (IG) Unit with a new "custom" IG unit that will be "notched" or cut in one of the bottom corners where the MaxSeal Pet Door® will be installed. Once installed, the sliding glass door will operate as intended with full sliding functionality and use of the existing door lock. 7. 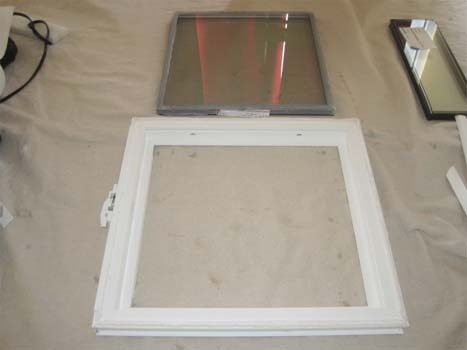 Determine the size of Pet Door needed based on the pet size and the distance from the bottom pet door flap to floor. (Note: A correct pet opening will be large enough to clear the shoulders of the largest pet using the door. Remember the pet door will rest on the bottom frame of the sliding door). Sizing Example: If your pet is 21 inches tall to the shoulder and there is a 3 inch distance from the floor to the bottom of the pet door flap then the top pet door flap will be at a height of 24 inches. Take this into account when choosing your size pet door. In this instance we could use the TALL Pet Door 11x20 because of the 3 inch gain. 8. 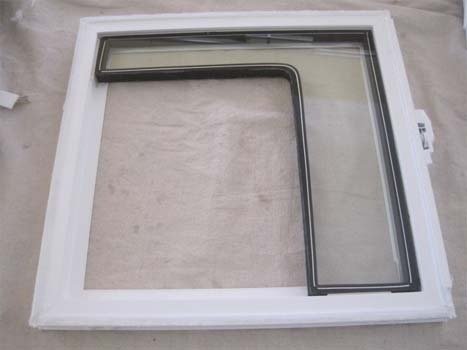 Determine "notch" dimensions based on the pet door size (Notch - when a new IG unit is ordered you must include the cut out (notch) measurements for the glass fabrication. For "Standard" sliding glass door applications - add 1/4 inch to the tip-to-tip measure of the MaxSeal Pet Door for rough cut (glass notch). 9. Order new IG unit from local glass fabrication company based on actual glass measurements, total glass width, notch measurements, adapter type, Low-E and tint requirements. NOTE:When IG Unit fabrication is complete (5-10 days) you are ready to install. 1. 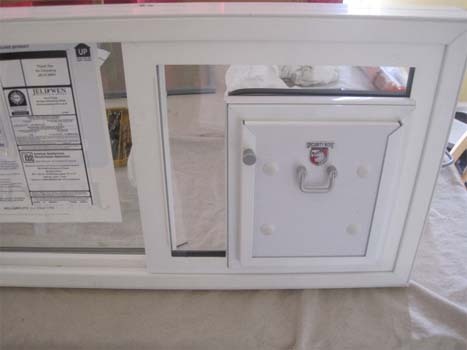 Depending on the type of slider, you may have to remove the panel from the door frame (locate and take out plastic stoppers) and lift the panel out or you may be able to remove the IG Unit without lifting the panel out. 2. 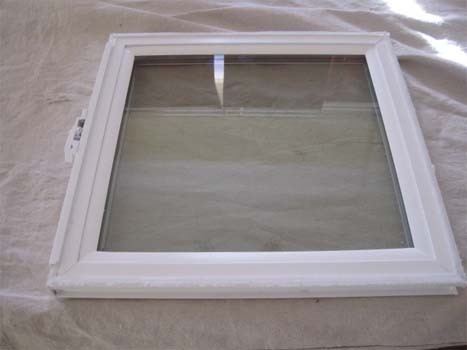 Locate the removable molding (may be on the inside or outside of panel) and remove from all sides. Typically you can loosen the molding with a putty knife / 5 Way tool by sliding the tool under the molding or between the molding and door frame. Twist with caution not to damage the molding, as you will reuse this for the new IG Unit. Once loosened, pry the molding off. 3. Remove the IG Unit - Once the molding is out, the IG Unit is held into place by silicone on the opposite side of the molding. Use a putty knife to pry between the IG Unit and the panel frame all the way around the IG Unit to break the silicon seal in order to remove the IG Unit. 4. Install new IG Unit into the door panel - use silicone sealant and apply only on surface of panel that the new IG Unit will have contact with. 6. Install "IN FILL BARS" into the gaps where the IG Unit does not make contact with the panel frame. The IN FILL BARS will be the same total thickness of IG unit (i.e. 1 inch) by desired length. These are cut on site. 8. Put the interior pet door frame (the one with the insulated security panel) into the rough opening in the "people" door. Notice the clearance between the pet door interior frame and the glass on the IG Unit. This gap is necessary as the edges of the IG Units are extremely fragile and will break if the metal from the door comes into contact with the glass. 9. 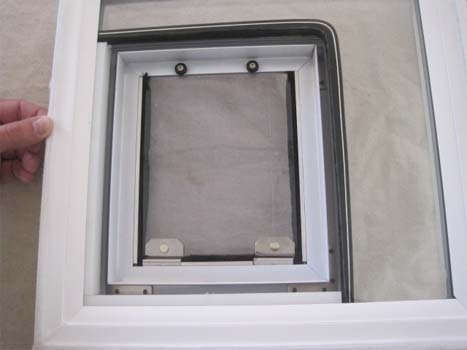 Snap the outside frame into the MaxSeal door and sleeve the pet door frame together. 10. Using the pre-drilled pilot holes and supplied drill bit and insert one screw. Make sure the door is level. When level, tighten the inserted screw. Affix the remaining screws into place using the pilot holes as guides. Important Note: Use a short screw (5/8 inch) for the pilot hole on the glass side to prevent the screw from hitting the glass!! Standard screws can be used for the remaining pilot holes. 11. 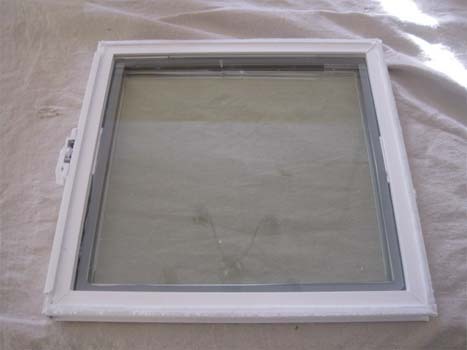 Once the pet door is installed you can fill any gaps and seal the edges with silicone sealant. 12. 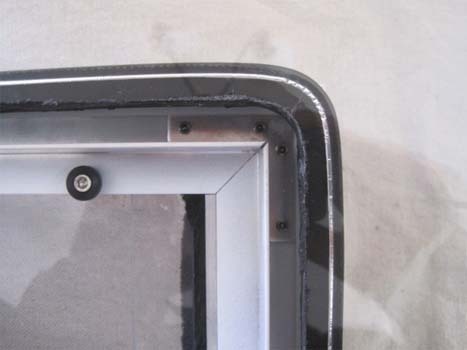 Install the door panel into the door frame, ask the customer not to use the pet door for 2 hours to allow the silicone to set.